Home » Air Force Bharti » Indian Air Force Rally bharti Recruitment 2016 Jharkhand. Indian Air Force Rally bharti Recruitment 2016 Jharkhand. 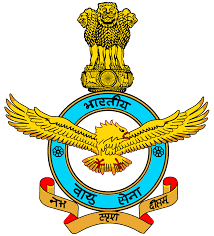 Indian Air Force (IAF) direct rally bharti recruitment for the post of Airman Non Technical posts at High school, Chandankiaryi, Bokaro Jharkhand. The Air Force Recruitment rally will be conducted from morning 7 O'clock as per detail given below. Districts to be covered:- BOKARO, JAMTARA, PAKUR, LATEHAR and RAMGARH districts of State of Jharkhand. Districts to be covered:- DEOGHAR, SAHIBGANJ, DUMKA, GODDA and DHANBAD districts of State of Jharkhand. Writing Materials and Documents Required. Age limit:- Candidates who born between 01 August 1996 to 30 August 1999 are eligible to appear Rally. Education Qualification:- Passed 10+2 in any subjects with minimum 50% marks in aggregate and 50% in English subject or two years Vocational course.